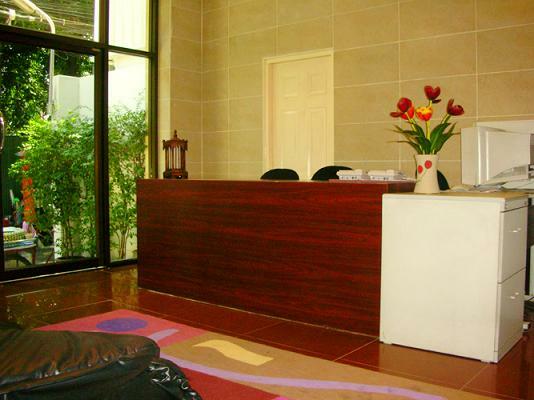 The serviced apartment on Silom and Sathorn area, in the heart of Bangkok business centre. Our serviced apartment differs from others in term of the warm atmosphere and convenience as your own home. Classical decoration, breathe away by beautiful surrounded garden, very convenient by BTS sky train , these are the facts that make Cordia Residence becomes an excellent alternative option when selecting the great serviced apartment for a quality lifestyle. Nearby Attractions : Located on Sathorn Nua Road,near by Sathorn -Narathiwas Junction. - 1 minute walk to seven - eleven and ATM machine. - 5 minutes walk to Singapore or Belgium Embassy. - 5 minutes walk to ChongnonSi skytrain station. - 5 minutes from City Bank and Bank of China. Very close with large office buildings of Sathorn area such as Sathorn Thani Office Complex,Empire Tower, Bangkok City 1 kilometre from Silom Express way.